Shelocta Borough, Armstrong Township, was formerly Sharp's Mills in 1822. Thomas and Joseph Sharp erected a house, saw mill, and gristmill. The Sharp's Mill Post Office was established March 9, 1829. James Thompson, Jr. was the postmaster. The Post Office closed January 15, 1830 and reopened September 23, 1830. But only to close again on Jully 22, 1831. In 1835, Abner Kelly laid out village lots, which were offered for sale May 20, 1835. The Shelocta Post Office opened November 1, 1837 and Daniel Metzker was the postmaster. The name Shelocta was taken for the Iroquois Indian language meaning "Shainee Cabin." Cherry Tree borough wasn't inhabited until 1822. It was originally known as Canoe Place which was where canoe travel on the Susquehanna West Branch ended as noted on Schull's map of 1770 and on the Warrant Survey A63-263, surveyed by William P. Brady for John Nicholson on August 23, 1794. Cherry Tree has always been known for several names applicable in one way or another including, Bardville, Campville, Grant, Newman Mill, New Lancaster and Canoe Place In 1833, Peter Newman purchased a gristmill which had been erected in 1826 or 1827 by William Sebring. He named the village Newman's Mill and was the first postmaster of Newman's Mill when it opened on January 3, 1842. On November 10, 1864, the name was changed to Grant P.O. until 1907. Thereafter to the present it has been known as Cherry Tree. Cherry Tree Borough was incorporated April 30, 1855 by Act of General Assembly from parts of Cambria, Clearfield, and Indiana Counties. It was named after a large wild cherry tree, which stands at the spot now marked by a large monument erected by the state in 1894. The monument also marked the corner of the property purchase of Indian lands at the Treaty of Fort Stanwix at Rome, NY, November 5, 1768. In June of 1905, the rails of New York Central (NYC) and PA Railroads were interconnected at Cherry Tree and the two began jointly to construct a new and unique railroad 22.25 miles to Clymer and Dixonville terminating at Sample Run and La Rayne. Each railroad operated its own rolling stock. PA Railroad and NYC began passenger service on April 1, 1907. NYC later ended its passenger service in February 1933 and PA Railroad ended their passenger service on October 4, 1947. Cherry Tree also had a male and female college, which was incorporated by Act of the General Assembly on April 14, 1868. It is said the school opened in 1870 but the venture was unsuccessful and ceased in 1874. Keywords: cherry tree borough wasn't inhabited until 1822. it was originally known as canoe place which was where canoe travel on the Susquehanna west branch ended as noted on schull's map of 1770 but the venture was unseccesful and ceased in 1874. Armagh Borough is located in East Wheatfield Township Route 22. Eight families led by James and Margaret Jane Graham from the Counties of Armagh, Antrim, and Ulster arrived in the area in August 1792. Margaret Jane married Mr. Graham after the death of her first husband Lord William Parker. Mr. Graham was the caretaker of Lord Parker's estate. James and Margaret left to escape social pressures against their marriage. In 1880, Joseph McCartney surveyed the town. On October 2, 1804 Armagh had mail service. 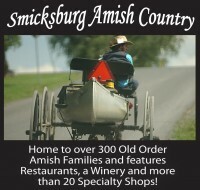 In June 1805 Armagh Borough established the first Post Office in Indiana County. Thomas Kerr was the postmaster. On April 10, 1834 by Act of General Assembly, Armagh was chartered as a borough. The name means "the field on a hill." Travel through history and notice that not only the town, but also several streets are named for signers of the Declaration of Independence. The town was founded in 1905 and named in honor of George Clymer, who was also a signer of the Constitution of the United States. Notable sites include the Dillen Boarding House (1905), now a private residence on Hancock Street, probably the first place of business in Clymer; the Streetcar Station (1908) on South Sixth Street, which provided service to the Indiana area until 1927; and a Mine Disaster plaque in front of the Clymer Borough Building on South Sixth Street, commemorating the terrible explosion at Sample Run Mine in 1926 that took the lives of 44 mine workers. Clymer Borough is located in Cherryhill Township at the intersection of Routes 286 and 403. The Clearfield Bituminous Coal Corporation and affiliated coal companies formed it. The Indiana County Gazette, on April 13, 1904 reported a company was organized "last night" at a meeting in Indiana by Messrs, Rembrandt and Frank Peale, New York; C.C. Springer, Boston; J.L. Mitchell, Philadelphia; Harry and J.O. Clark, Glen Campbell; E.H. Ellsworth, Superintendent Arcadia Coal Company; and M.C. Watson, Indiana. The group owned 10,000 acres of coal land on Two Lick Creek. "Opening will be made and a town will be laid out." The first sale of lots was held on October 11 and 12, 1905. Clymer Borough was named at the suggestion of John S. Fisher in honor of George Clymer, a signer of the Declaratoin of Independence and Constitution of the United States. A hundred years before, George Clymer had donated land in Indiana for the County seat. The main street was named Franklin Street in honor of Benjamin Franklin. Many of the other streets were named for other signers of the Declaration of Independence. Clymer was planned as an opened town contrary to other company owned mining towns. Clymer grew to be the largest coal-mining town in Indiana County. The Post Office was opened in February 8, 1906 and J. Ward Houck was the postmaster. The borough was incorporated February 29, 1908. Glen Campbell, the first coal town in Indiana County, was founded in 1889. It was named for Cornelius Campbell, the first superintendent of the Glenwood Coal Company, the enterprise which initiated mining operations in the area. The town experienced immediate growth and soon a number of coal companies were operating in and around the community. In 1894, just five years after its inception, Glen Campbell was incorporated as a borough. The town quickly became the service, business, and shopping center for a number of smaller mining communities that sprang up in northern Indiana County. 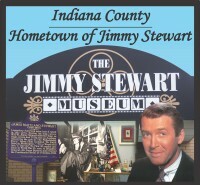 By 1900 Glen Campbell was the third largest town in Indiana County. It also had the distinction of being the county's fastest growing community. In fact, residents of the community felt it was feasible, with such growth , that eventually the county seat would have to be moved to Glen Campbell. The town was serviced by both the Pennsylvania and New York Central railroads. In addition to coal mining, there were a number of lumber mills. In 1905 the Giant Electric Light, Heat, and Power Company opened operations in Glen Campbell. The company provided electricity to communities in northern Indiana and southern Clearfield counties. Other industries included a brickyard which was established on the Cush Creek, a stream that flows through the community, and a cooper's shop which manufactured barrels. Later a battery factory was opened. There also were plans for the construction of a foundry and a furniture factory. At its height of prosperity, the town had approximately 60 businesses. There was an opera house and a nickelodeon. The community boasted its own school system, which included a high school. There were a number of dentists and doctors. One doctor even operated an infirmary for the miners. The borough had its own bank, the First National Bank of Glen Campbell. A number of newspapers were published in the town and many social organizations sprang up. Unfortunately, the bubble burst. Labor unrest, the decline in coal output, the depletion of the timber stocks, and a number of disastrous fires left Glen Campbell in a serious financial dilemma. The Great Depression of the 1930's dealt the town its final and most crippling blow. The bank was forced to close permanently and a number of businesses either folded or moved elsewhere. The community never recovered from the trauma and continued its spiraling decline. Although its heyday has long since passed, the town still has the capability of attracting notoriety. It received national attention in 1971 when Glen Campbell, the country music singer, made a surprise visit. The trip was featured in a TV Guide article later that year. Although no longer the size it once was, Glen Campbell continues to function in its own right. The town's fire company provides fire protection to a number of communities in the area. Its three churches (Methodist, Baptist, and Roman Catholic) all have active congregations. Social organizations include the American Legion and the Glen Campbell Fireman's Auxiliary. The town's post office still provides rural services to a large area surrounding the borough. There are a number of businesses, including some which are coal related, that call Glen Campbell home. Founded in 1919 by the Clearfield Bituminous Coal Corp., Commodore was a model mining town. Settlers here had the privilege of living in one of the few towns with sewage and running water - very advanced for the early 1900's. Today you can still see some of the buildings crafted of concrete blocks that were produced in town. The village of Commodore has been declared eligible for the inclusion on the National Register of Historic Places. Founded in 1818 at the junction of the Northern Turnpike and the Conemaugh River, the town prospered with the completion of the Pennsylvania Main Line Canal. A slackwater pool allowed access from the canal basin at Bairdstown to docks, warehouses, and boatyards at Blairsville. Local industries, including foundries, coal mines, and salt works, thrived with the advent of this cheap and reliable means of transportation. The first branch of the Pennsylvania Railroad existing in Indiana County was built in Blairsville in 1851. In 1860, the Western Pennsylvania Railroad was organized and headquartered here, creating an important rail center in Indiana County. Notable sites remaining in Blairsville include the National Guard Armory (1909) at 199 N. Walnut Street; St. Peter's Episcopal Church (1830) on West Campbell Street; the Pennsylvania Railroad Depot (1893), now a financial institution on E. Market Street; and the old Pennsylvania Railroad freight house (1907) behind the old depot. Visit the museum operated by the Historical Society of the Blairsville Area, 116 E. Campbell Street, to travel back to these significant days in our transportation heritage. Open Tuesday, Thursday, and Saturday from 10 a.m to 2 p.m. For more information call 724-459-0580. In September 1841, John Park, the landowner of "Marion," laid out the Village of "Marion." On September 1, 1841, the Indiana Register stated that "Marion will offer lots for sale September 21, 1841." John Park chose the name "Marion" in honor of the Revolutionary hero General Francis Marion. The Post Office was named the Brady Post Office, which opened January 12, 1858 and John. C. Rochester was the postmaster. "Marion" was incorporated into a borough in June 1869. The Brady Post Office was the Post Office for "Marion" until December 26, 1890 when the names of the town "Marion" and the Brady Post Office were changed to Marion Center. Originally a small coal mining town built by R&P Coal Company, it was named for Ernest Iselin, one of the owners of R&P. At one time, it had a company store which housed the post office. It also had an elementary school, a catholic school, and several mine offices including the company doctor's office. Now it is strictly residential. Many of the features that distinguished it as a coal mining town are now gone. There are, however, the old foundations of the coke ovens and the black boney that will continue to remind the residents of the once thriving town that it was. Saltsburg was founded by Andrew Boggs in 1816. It was named for the early salt industry established along the Conemaugh and Kiskiminetas Rivers. From 1829 through 1864, Saltsburg was an important stop along the Western Division of the Pennsylvania Main Line Canal. The canal running through Saltsburg connected the cities of Philadelphia and Pittsburgh, serving as a major route for transporting both goods and passengers. Today the Saltsburg Canal Park preserves this historic area and educates visitors about the rich heritage of the town during the Canal Period. Recently, Saltsburg was designated as a Trail Town by the Greensburg Progress Fund and serves as a hub for the West Penn and Westmoreland Heritage Trails. 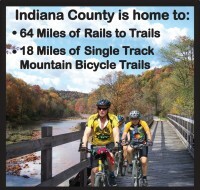 From Saltsburg, bikers and hikers can travel east on the West Penn Trail toward the towns of White Station, Tunnelton, and Blairsville including a stop at the Conemaugh Dam Recreation Area, or a short distance north toward the neighboring town of Avonmore. Also, trail users can take the Westmoreland Heritage Trail going west toward Slickville and then on to Delmont. This totals an approximate distance of 20.5 miles for trail enthusiasts. Situated along the Conemaugh and Kiskiminetas Rivers, Saltsburg offers opportunities for fishing, boating, and kayaking. In addition, it is an access point on the Kiski-Conemaugh Water trail that ends at Freeport, offering 28 miles of river travel and recreation. Beginning as early as 1899, a coal broker from Williamsport by way of Philadelphia began buying coal lands in and around Indiana County. By 1904, John Heisley Weaver, the coal broker would begin construction of his ‘model town’ to be called ‘Heilwood’. The name of the town was probably a corruption of this own nick name ‘Heil’ and another coal mining town in West Virginia. Although he would sell all his holdings, including the town of Heilwood in 1906, the foundation of the town had been laid out for the purchasing company, The Penn Mary Coal Company. Within 6 years, the town would have almost 400 houses; a hospital; a dairy; a company store / post office; churches; schools; a town hall with bowling alleys / barber shop. The near by mines would employ almost 1,000 workers at their peak. The town could be proud of its heritage as having: the first building in Indiana County erected solely as a hospital-1909; the organization of the first Boy Scout Troop in Indiana County-1911; and having the first American Legion Post formed in Indiana County following World War II-1946. The history of Homer City dates back to the mid 1700's, when settlers began to establish homesteads on lands previously owned by six Indian nations. The village of Homer City was laid out in 1854 by William Wilson, who named it after the ancient Greek poet, Homer. Although FMC Corporation is a major employer, there are many other businesses within the borough providing goods and services to our residents. These include a pharmacy, a bank, a grocery store, a department store, restaurants, a laundramat, barber shops, hair salons, physician's offices and other service oriented businesses, all of which are readily accessible. The Borough is a part of the Homer Center School District, with the schools being located just south of the Borough line. There is also a wide variety of residential housing available, from apartments and houses available to the general public to a senior citizen apartment complex. Homer City Borough is situated 6 miles from Indiana, 30 miles from Greensburg, 25 miles from Johnstown, and 50 miles from Pittsburgh. Homer City Electric Generating Station The Homer City Station, sitting high atop a plateau two miles south of the borough after which it is named, boasts the highest stack in the nation at 1,216 feet. The station has three generating units: two 600,000 kilowatt tandem compound turbine generators, and a third 620,000 kilowatt unit. The three units combined burn 700 tons of coal per hour - coal which is delivered by conveyers from deep mines. Coal is also trucked in from local strip mines. Transmission lines radiating from the Station, including the first extra-high-voltage line from western Pennsylvania to upstate New York, make it possible to move large amounts of power on a normal, as well as an emergency basis. This power moves to strategic points in both the PA-NJ-MD Interconnection and the NY Power Pool, two of the nation's major integrated power pools. Venture east on Rt. 286 through Clarksburg to Rt. 3021 into Iselin, a mining town built by Pittsburgh Gas & Coal Co. in 1903. There you will see houses, a mine office, doctor's office, and a company store from the coal mining era remaining since the shutdown in 1934. McIntyre, Pennsylvania, was one of more than a dozen coal mining company towns developed by the Rochester and Pittsburgh Coal Company in Indiana County, in the early part of the 20th century. During this period the United States was becoming a major industrial and world power due in part to the presence and mining of coal and other abundant natural resources in the country. Many southern and eastern European immigrants were attracted to jobs in the mines and settled with their families in these towns. Through the use of photos, documents and memories of town residents, the site documents one represenrative western Pennsylvania coal town during its heyday. Susan Ferrandiz is the research/developer of the site. Her grandparents and their family lived in McIntyre.